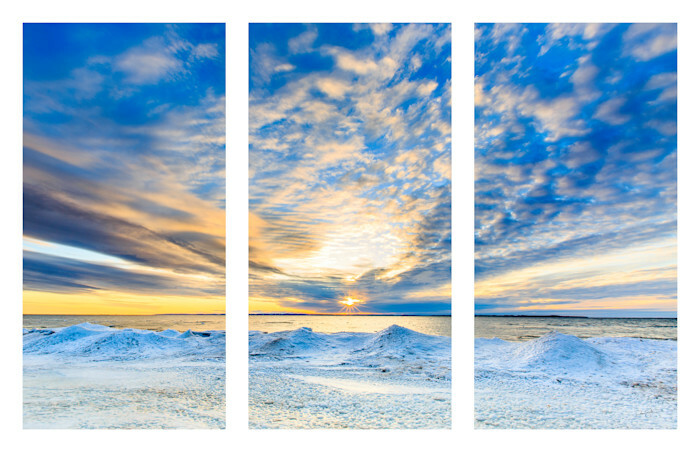 Colorful winter sunrise over Lake Michigan from the beach at Antrim Creek Natural Area, Antrim County, Michigan. This photographic image is split into three stunning canvas gallery wrap panels available in a variety of sizes. This image is also available as a triptych printed on other media types (metal, wood, acrylic, etc) - contact us for more details!